A corsage, also called a “mini-bouquet,” is an arrangement of flowers, with or without foliage, worn around the wrist or lapel. Girls and women wear corsages to special occasions such as prom night, dinner parties, birthdays, weddings and anniversaries. A corsage is usually comprised of three to five flowers that complement the dress or the theme of the occasion. 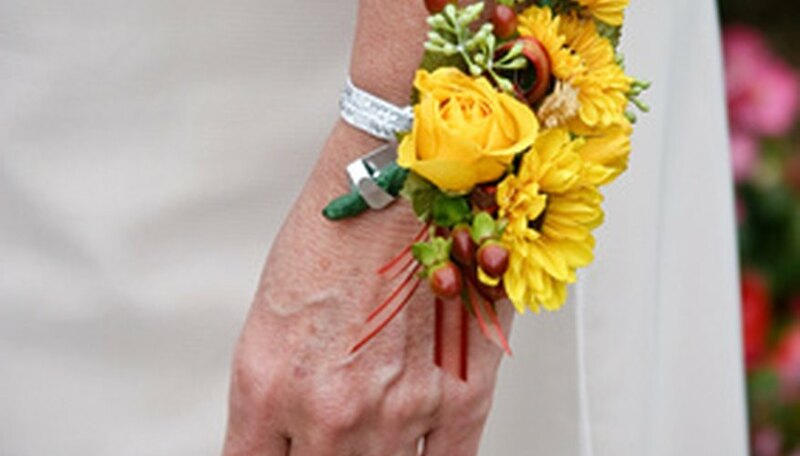 When making a corsage, use hardy flowers that last several hours before wilting. Roses are widely used for corsages for several reasons--they feature beautifully arranged blooms in a wide variety of colors, have hardwood stems that withstand wear and tear, and a mild fragrance that lingers around them. Each color depicts a different emotion, so use roses in your corsage accordingly. For instance, red signifies love, passion and a strong emotion, while white symbolizes innocence and purity. 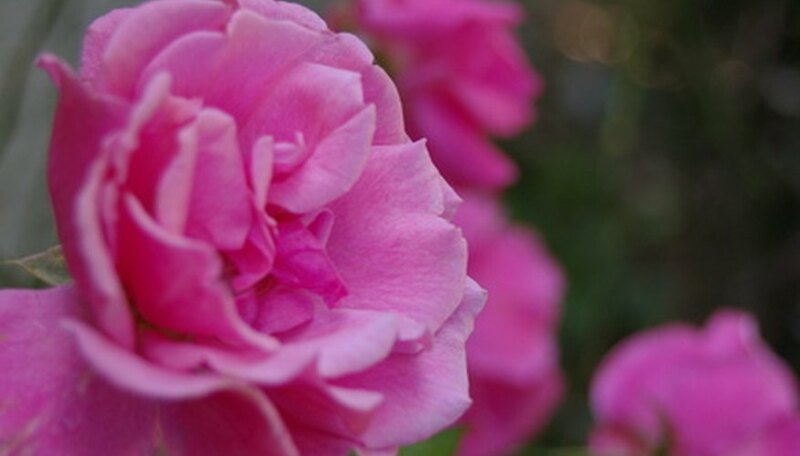 Depending on personal taste, use a brightly colored rose surrounded by smaller buds in complementary colors, or use medium-sized blooms of the same color. Refrigerate your rose corsage until the last minute to retain freshness. Carnations are another commonly used corsage flower that comes in a wide variety of colors including white, hues of pink, yellow, peach and maroon. These flowers last a long time after being cut and form an attractive arrangement. 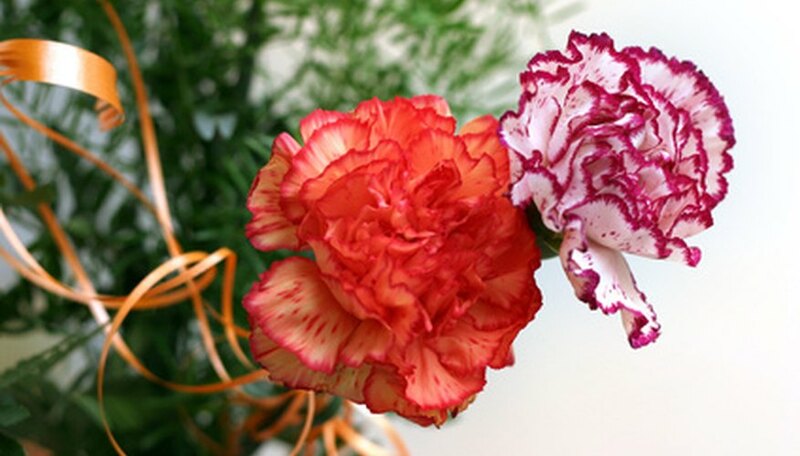 As with roses, the different colors of carnations depict different emotions. Use same-colored carnations, or different colored ones for a colorful corsage. Traditionally, pink or red carnations symbolize love for a mother and are used for Mother’s Day. 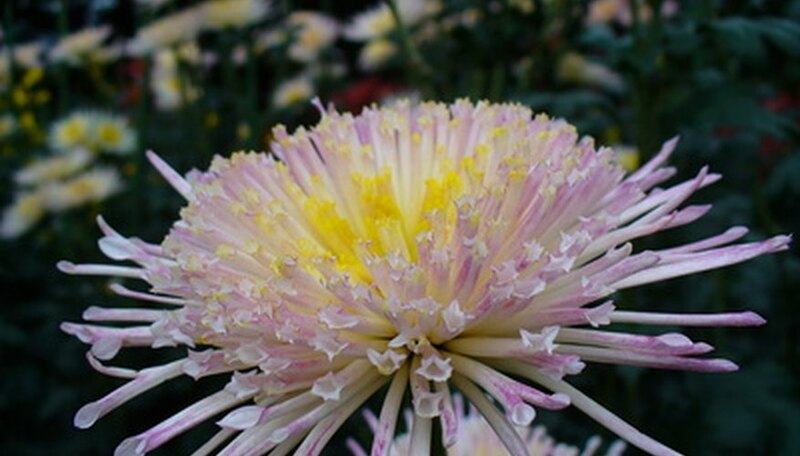 Chrysanthemums as a corsage flower date back to decades ago when they were used in college homecoming arrangements. Either blooms or ribbons reflecting school colors are used in such corsages. Corsages for other occasions such as prom, weddings or dinner parties are comprised of similar or multicolored chrysanthemums that stand out and draw attention. 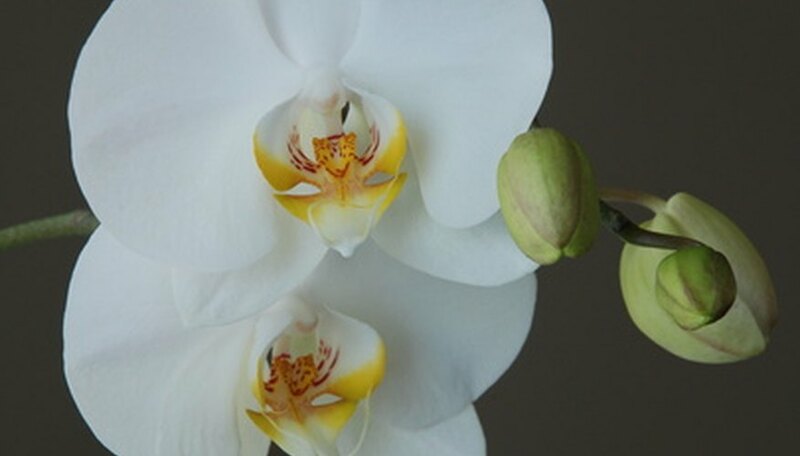 Orchids form beautiful, exotic corsages. Use a light-purple orchid that stands out when pinned to the lapel of a white, off-white or light-purple gown, or a white Phalaenopsis orchid against a bolder background. Orchids corsages are usually pinned to the lapel because of their delicate petals. Use a large orchid surrounded by decorative ribbon or lace, or several small colored blooms along with tiny accent greenery such as baby’s breath. White Calla lilies are a popular wedding flower used by brides and bridesmaids in corsages. 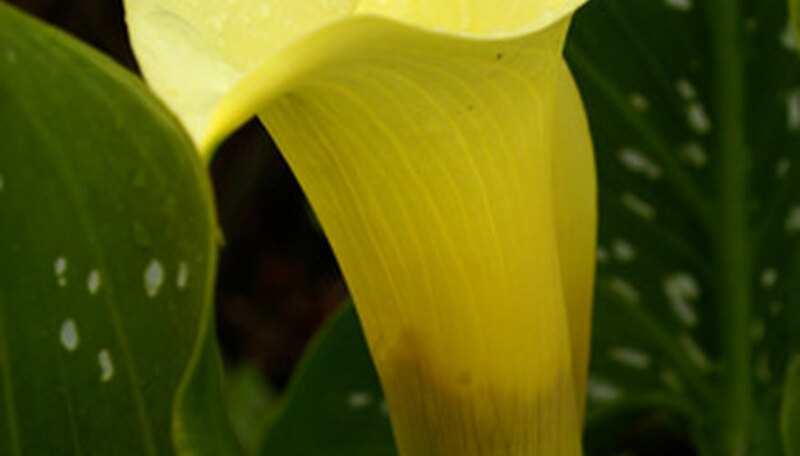 Mostly available year-round, the calla lily also comes in a variety of colors including red, pink and peach.